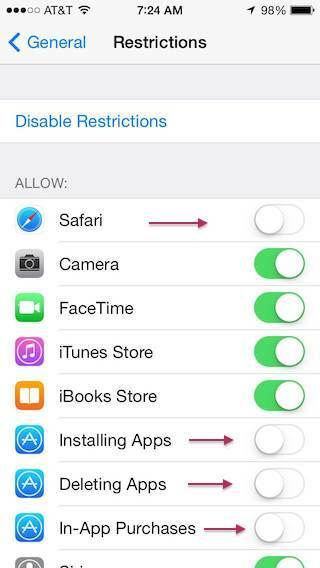 This article is a step-by-step guide to set up parental controls on iPhone, iPad or iPod touch. 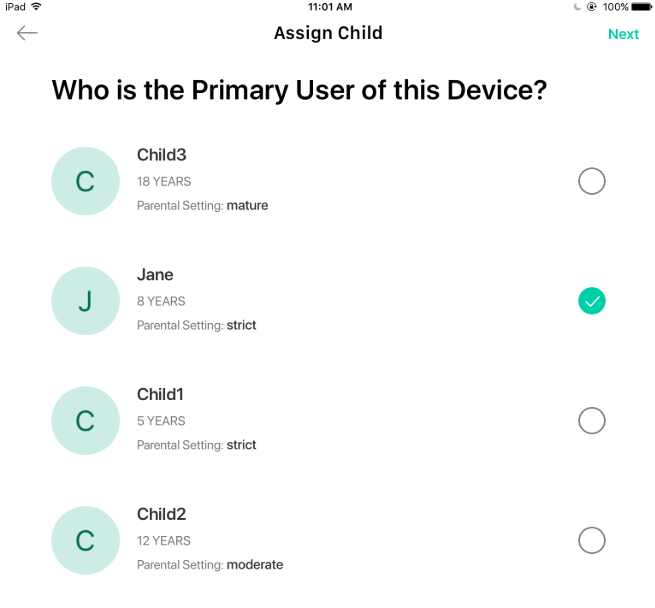 Summary: Setup Mobicip on your child's iOS device in child mode. 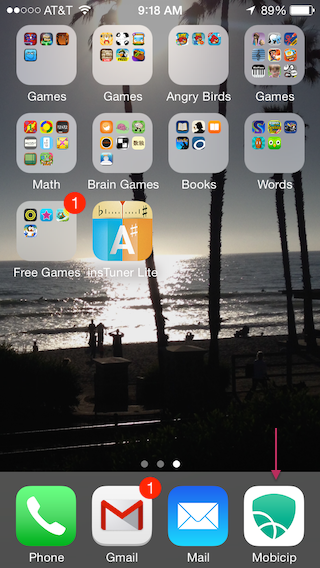 Setup Mobicip on your own iOS or Android phone in parent mode. Mobicip is an integrated parental control app that allows you to restrict screentime, Internet, apps and videos on your family's devices and computers. The same app doubles up, in parent mode, as the remote control from your phone where you can make changes or take instant actions. 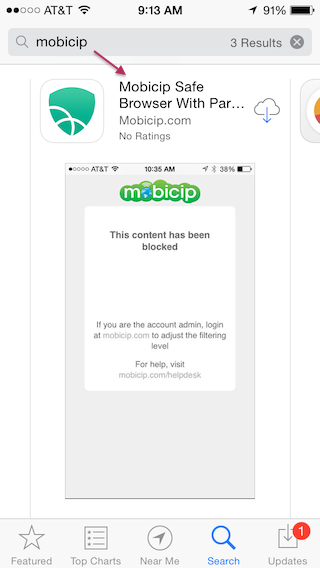 Download Mobicip from App Store on your iPhone or iPad and open the app to select Parent as the primary user. 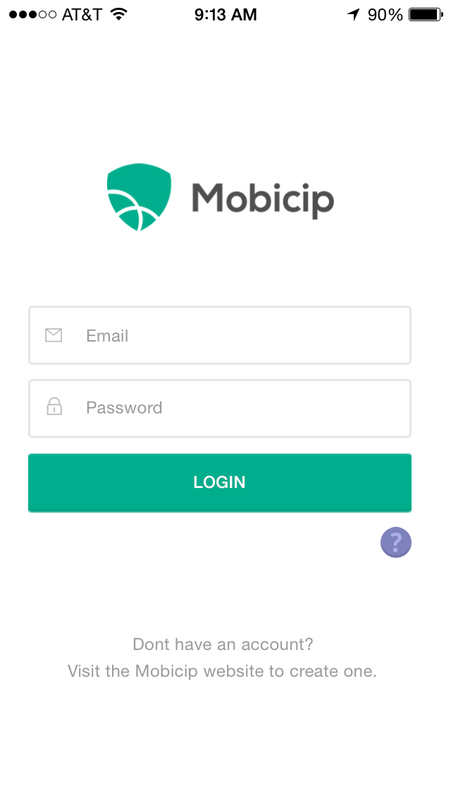 Login with your Mobicip account (or create one). Select ‘Add Children’ to create a persona for each of your children. You will need to setup atleast one child profile at a minimum. You may customize the restrictions now or save and revisit this later. Now, from the menu, Select Activity and scroll to the QR code screen. On your child's iPhone or iPad, download Mobicip from App Store and select Child as the primary user. From your child's device, scan the QR code from the Mobicip Portal on your computer (or App in Parent mode on your phone). The device registers with your account and any parental controls you have selected will be applied immediately. If you do not have the QR code handy, just login with your Mobicip account (or create one and follow steps 2-7 in this tutorial). Login and select the child who will be using this device. 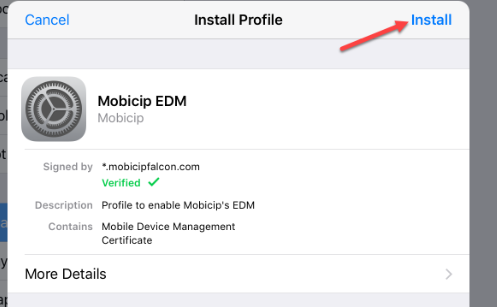 Follow the prompts to install Mobicip's profile on the device. Mobicip’s Management Profile is now installed on the device. Select ‘All Set to Go!’ to complete the setup. A box that says 'VPN' at the top left corner indicates that Mobicip is active. Launch any browser on your child's device and check if the filtering is working. The Mobicip Safe Browser has been deprecated. The rest of this tutorial is obsolete and is here only to help parents setting up on grandfathered devices. Mobicip offers a best-selling alternate browser for Safari that enables parental controls on your child's iPhone or iPod Touch. It is simple to setup and works anytime anywhere! The Mobicip Safe Browser is protected by a mobicip.com account setup by the parent. From the home screen on the device, touch the App Store icon. 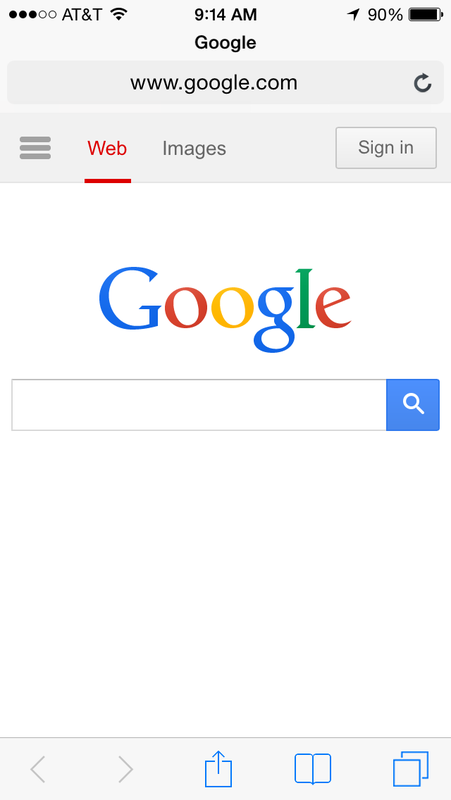 Touch the search tab, and search for "mobicip". Select the Mobicip Safe Browser from the search results. Touch the FREE button, it will turn into INSTALL. Touch this button and enter your iTunes username and password. NOTE: If your user has a separate iTunes account, you may want to download the Safe Browser using that iTunes account. Once downloaded, the app will be installed on your screen. NOTE: Before your launch the app, visit mobicip.com to sign up, and optionally upgrade to Mobicip Premium. The Premium upgrade allows you to customize your filtering and monitor usage from the web-based dashboard (using any browser) or the Monitor app (on any iOS device). Choose the filter profile you wish to apply to this device, and you should see the browser open up. Enter a URL to visit any website. From the home screen, select Settings > General. 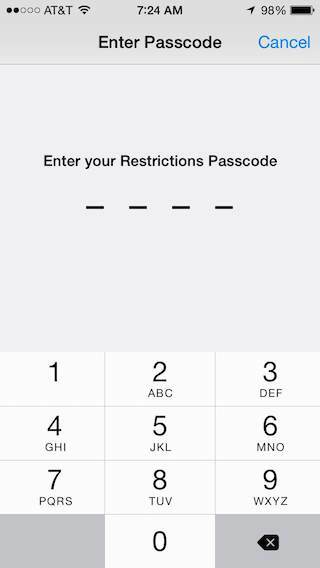 Enter a 4-digit passcode. 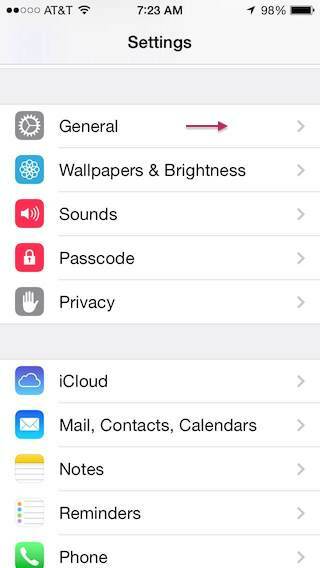 Make sure you remember this passcode, in case you need to change these settings. You will see the restrictions screen. Set Safari, Installing Apps, Deleting Apps, and In-app Purchases to OFF. 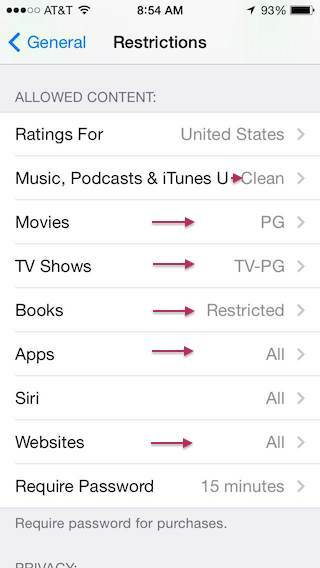 Note: Some parents may choose to allow apps to be installed with age restrictions setup, but be aware that there are still issues with the age-based ratings and browsing the App Store itself. 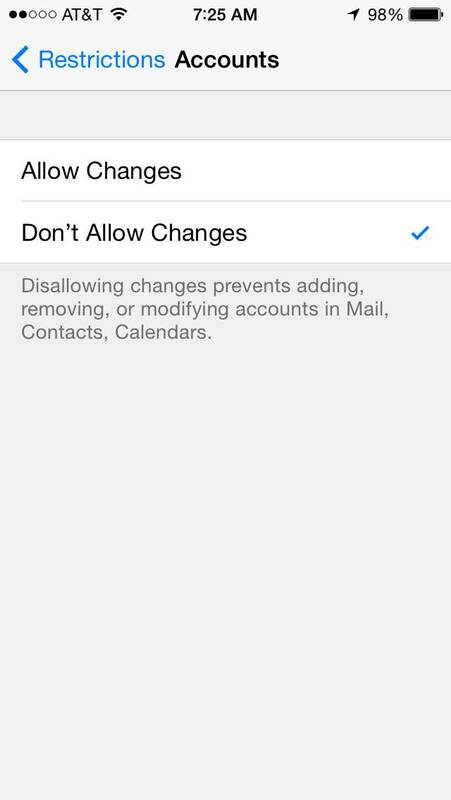 In another much sought after enhancement, Apple has added an option to disallow email accounts from being setup. Whether you have setup a child-friendly email service like Zilladog or Zoobuh, or you simply want to turn off email access, this gives you the ability to lock email accounts and not allow your child to setup an alternate email account. Simply scroll down on the same Restrictions screen to setup this option. Scroll down the screen to the Allowed Content area. 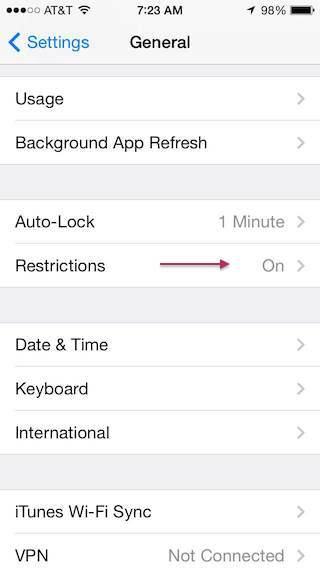 Review and select your preferences for other restrictions, then press the Home button to return the home screen. Note: Leave the Websites setting at 'All'. 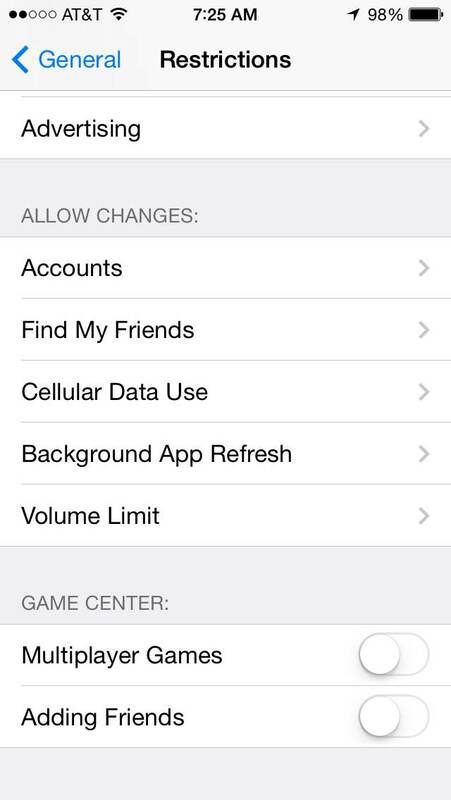 Changing this setting can interfere significantly with Mobicip. That is it! You can be rest assured that your child will have a safe and secure Internet enabled device that he/she can use anytime anywhere! Visit mobicip.com from any computer and login using your Mobicip.com account to configure the filtering and monitor the browsing activity. You may find these video tutorials helpful to setup your filtering and to monitor the activity reports. Note: If you have multiple devices to setup, see this article. If you need assistance, please visit out helpdesk at mobicip.com/support.